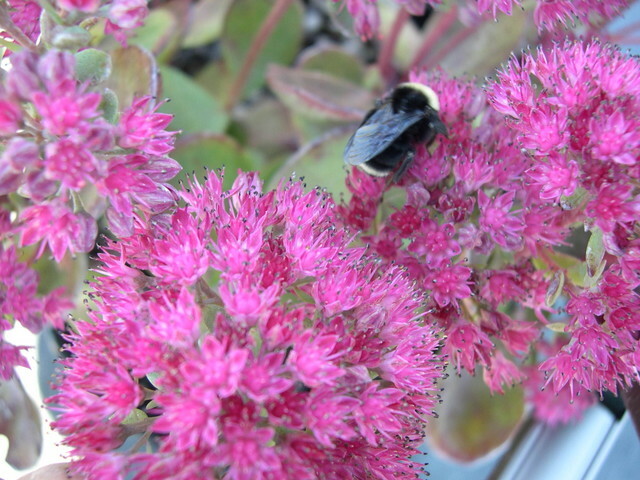 Probably Sedum telephium 'Ruby Glow' [Hylotelephium telephium 'Ruby Glow] Green leaves mottled and margined with purple on a robust, upright yet compact, clumping plant. They are 9 inches tall when in flower with cymes of light purple flowers in autumn. A good border variety. Hardy. Deciduous.